Basic cable jewelry chain sold in bulk. We are one of the top jewelry chain wholesalers in the country. Click on each product to view all of the quantity level price breaks for spools up to 100 feet long. 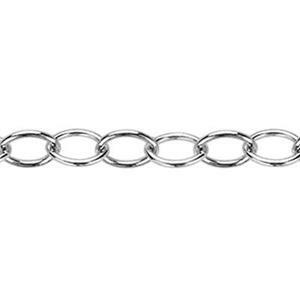 We are chain specialists and we offer a huge selection of quality styles for your jewelry business in sterling silver, gold filled and copper. Finish these chains with lobster claw clasps or spring rings. 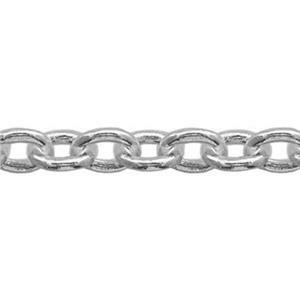 Cables are the most common style of jewelry chain links. 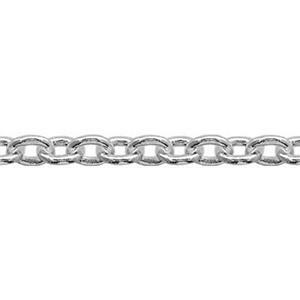 Click here to learn about alternative Types of Chain.